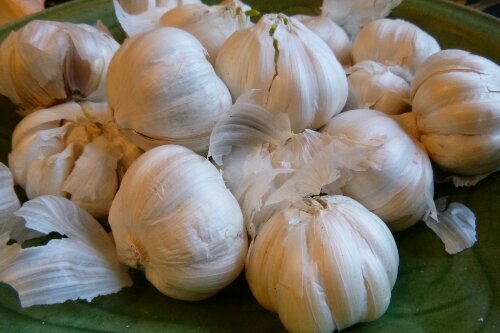 Just a shot today… Possibly a month’s supply of garlic. Tip: Don’t store garlic in the refrigerator. It loses flavour.